Because I'm pretty sure what you've always felt is that there aren't enough computers in your life, here's some software and interfaces so you can mix and record sound with 'em too! High-quality, dual-channel mic preamplifier and A/D converter with two Microdot inputs for use with computer or iOS device. High-quality, dual-channel mic preamplifier and A/D converter with two Microdot inputs for use with computer or iOS device. Includes two DPA d:screet 4060 Mini Omni Lavaliers. High-quality, dual-channel mic preamplifier and A/D converter with two Microdot inputs for use with computer or iOS device. Includes DPA d:screet 4060 Mini Omni Lavalier. High-quality, dual-channel mic preamplifier and A/D converter with two Microdot inputs for use with computer or iOS device. Includes DPA d:screet 4060 Mini Omni Lavalier.and d:dictate 4018 supercardioid mic. 18-in, 20-out rack-mountable USB audio interface. Simple 18-in, 20-out rack-moutable USB audio interface. Simple and compact 18-in, 8-out USB audio interface. Simple and compact 2-in, 2-out USB audio interface. Simple and compact 2-in, 4-out USB audio interface. Simple and compact 6-in, 6-out USB audio interface. External display for Platform M+ control surface. 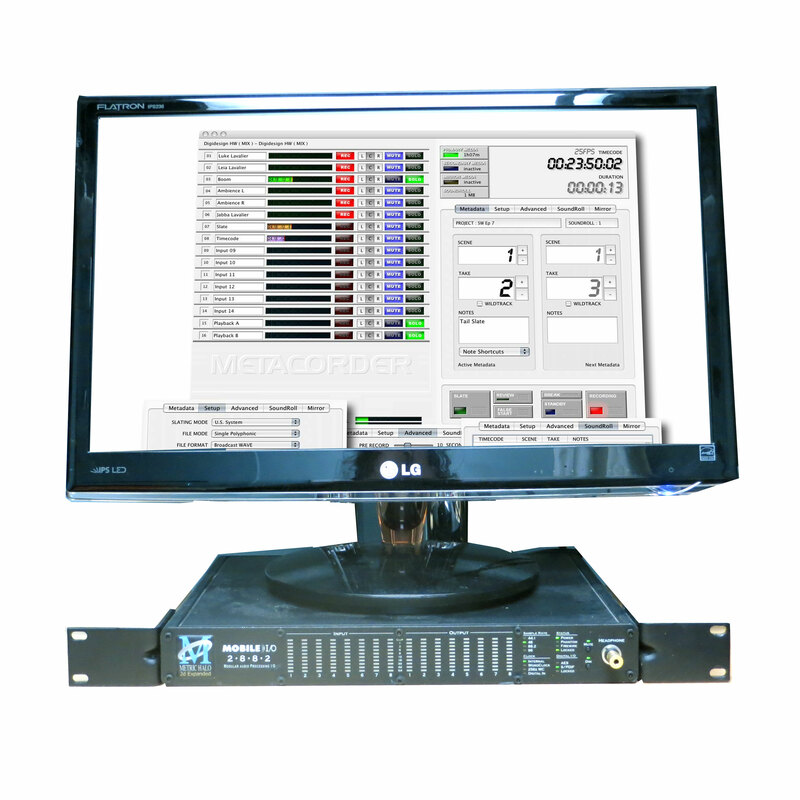 Award-winning signal metering and analysis Mac software. High-resolution, portable hardware interface for Mac and Windows-based digital audio. 18-in/20-out preamp and A/D converter with combo XLR/TRS input and USB 3.0 output.